In common usage, the term ‘moa’ is often used as if it refers to a single species. This is a long way from the truth. Not only are nine different species recognised, but they are classified in three separate families. They were the best example of adaptive radiation among vertebrates in New Zealand (at least in terms of the number of families and genera derived from a common ancestor). All were hunted to extinction within a few centuries of humans arriving in New Zealand. Te Papa holds many impressive moa specimens. Their large leg bones were readily preserved in many different environments (including wetlands and dunelands). 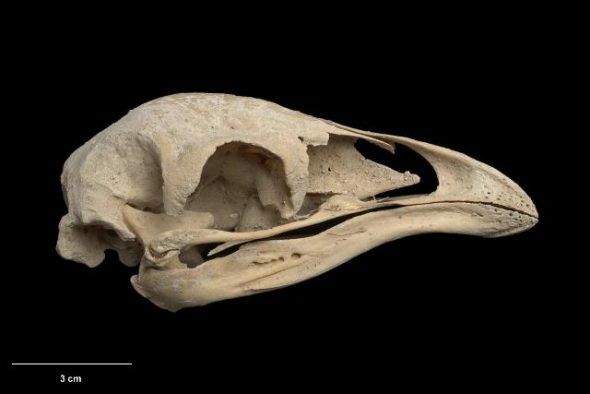 However, the more fragile skulls were best preserved in caves, particularly limestone tomos, that were death traps for the flightless moa that stumbled in. 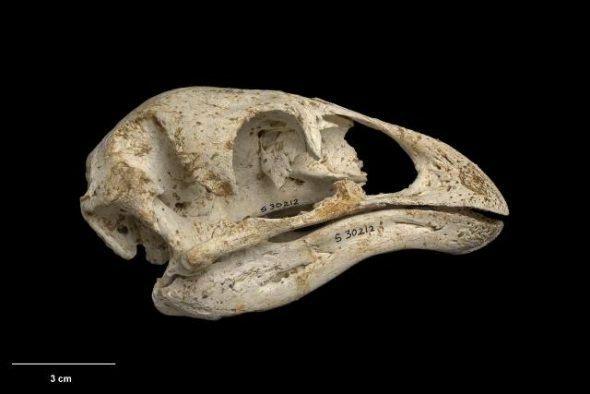 This blog provides images of skulls of all six genera of moa, providing some indication of the diversity of bill morphology among the group. The most divergent moa, placed in a family of its own, was the upland moa (Megalapteryx didinus). It was a relatively small species (28-80 kg), confined to the South Island, where it was common in subalpine habitats up to 2000 metres above sea level. 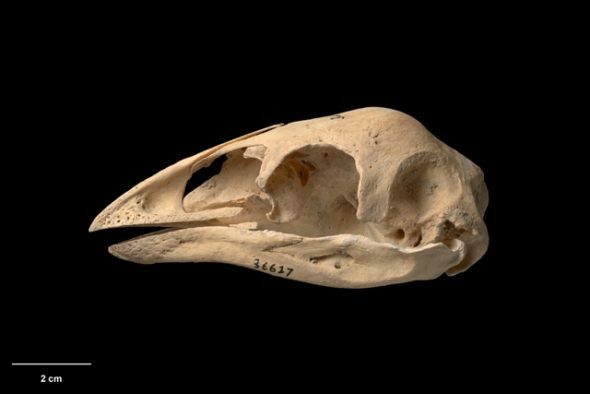 Images of a mummified head and neck, and also feathers, are shown on the New Zealand Birds Online upland moa page. The two giant moa (genus Dinornis) were placed in a separate family from the seven smaller moa species. They were both enormous, with females of the South Island giant moa (Dinornis robustus) reaching weights of up to 250 kg. As their names suggest, the two species were separated by Cook Strait. Females were nearly three times heavier than males, which caused much confusion when classifying their bones, as size differences were previously used to separate species. The confusion was eventually sorted out through extraction and comparison of DNA from moa bones. The six remaining moa species are placed in four genera within a single family (Emeidae). Three species were in the genus Pachyornis. 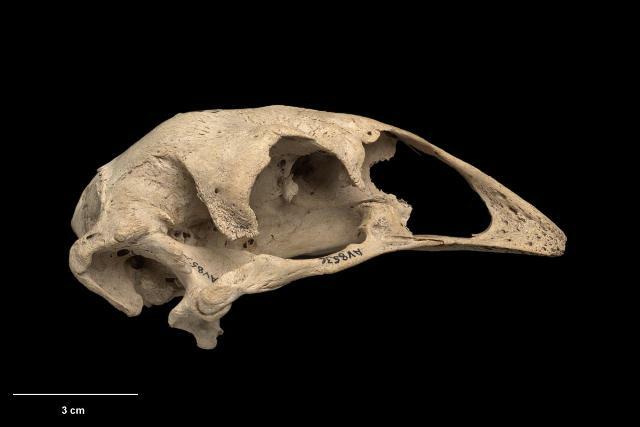 Mantell’s moa (P. geranoides) was one of two moa species confined to the North Island, compared to five species that were confined to the South Island (or South Island plus Stewart Island), and two that occurred on both sides of Cook Strait. The crested moa (P. australis) was confined to the South Island, where it mainly occurred in subalpine grasslands and shrublands, plus coastal dunelands in Southland. 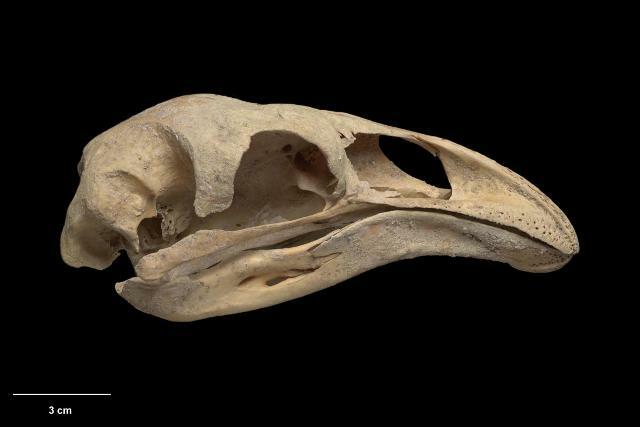 It is the only moa species not yet confirmed from archaeological midden sites. 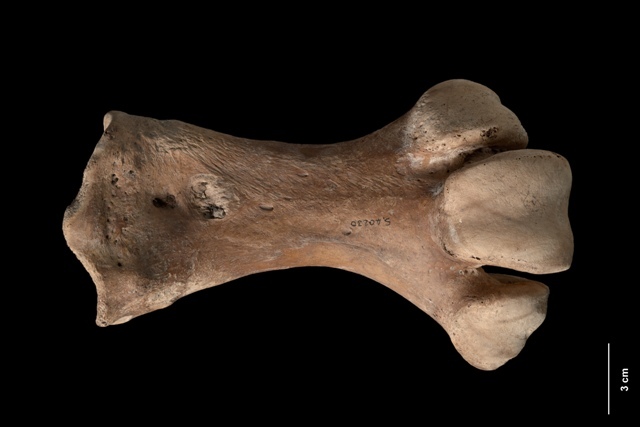 The heavy-footed moa (P. elephantopus) was also confined to the South Island. It had short but massively thick leg bones. Three further species were all placed in separate genera, and included the smallest and most widespread moa species. The little bush moa (Anomalopteryx didiformis) occurred throughout the country, and its remains are common in archaeological sites. The eastern moa (Emeus crassus) was a short-legged, bulky, medium-sized moa of the eastern South Island. Both the eastern moa and the larger stout-legged moa had elongated windpipes, probably used to make loud, resonant calls. The ninth and last moa species was the stout-legged moa (Euryapteryx curtus). 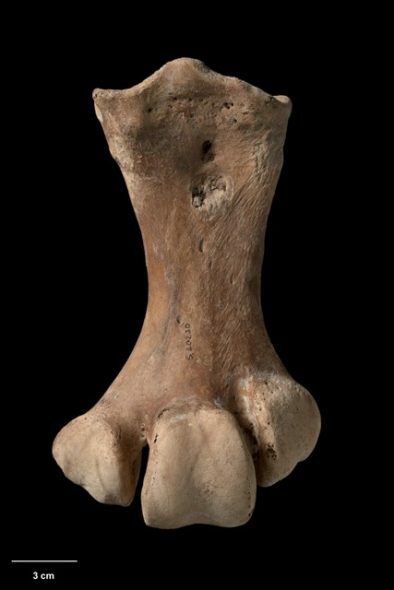 Found throughout the country, stout-legged moa were highly variable in size. Those in the northern North Island reached a maximum weight of about 50 kg, while those in the South Island and southern North Island could be more than 100 kg. Adult females were about twice the size of adult males. Recently extinct moa: upland moa, little bush moa, heavy-footed moa, Mantell’s moa, crested moa, eastern moa, stout-legged moa, North Island giant moa, South Island giant moa. 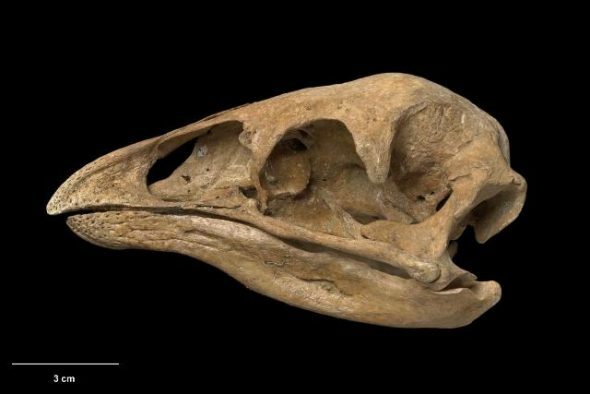 Moa bone and egg shell has also been found in 16-19 million-year-old deposits in Central Otago, but no species of this age have so far been described and named.